Synopsis: The warriors of Azeroth do battle with invading hordes of Orcs led by the evil Gul’dan. If you’re not a player of the massive online multiplayer game World of Warcraft, the chances are you’ll feel a little lost as you’re plunged headfirst into Warcraft’s world of orcs and warriors in Duncan Jones’ handsome, but essentially empty, screen adaptation. It’s a world that was in motion long before you came along, and the general consensus of Jones and co-screenwriter Charles Leavitt seems to be that, if you’re not familiar with the multitude of characters (and accents), you’re just going to have to catch up. To be honest, the plot is pretty thin, and lent a spurious level of complexity by its assumption that you’re familiar with its characters. The land of Azeroth is under threat of invasion from The Horde, a conglomeration of Orc clans led by the evil Gul’dan (Daniel Wu) who are desperate to find a new home now that theirs is dying. 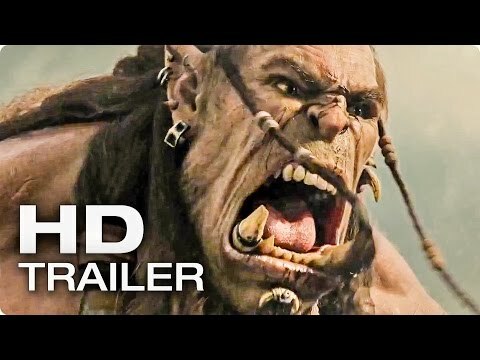 However Durotan (Toby Kebbell – The Counselor, Dawn of the Planet of the Apes), who sounds like a sunscreen product but is actually a beloved leader of one of the clans, has begun to grow tired of the constant war with the humans now that the birth of his first child is imminent, and realises that Gul’dan is a force of evil who must be stopped. In Azeroth, King Llane Wrynn (Dominic Cooper – Abraham Lincoln: Vampire Hunter, Reasonable Doubt) and his Commander, Anduin Lothar (Travis Fimmel) plan to do just that with the help of the Guardian, Medivh (Ben Foster – Contraband, Ain’t Them Bodies Saints). Could it be coincidence that Medivh’s name is superficially similar to another famous wizard, who roamed a land not entirely dissimilar to that of Azeroth? That’s for you to figure out, but the whiff of Excalibur – crossed, of course, with Tolkienesque figures and landscapes – is unmistakable. 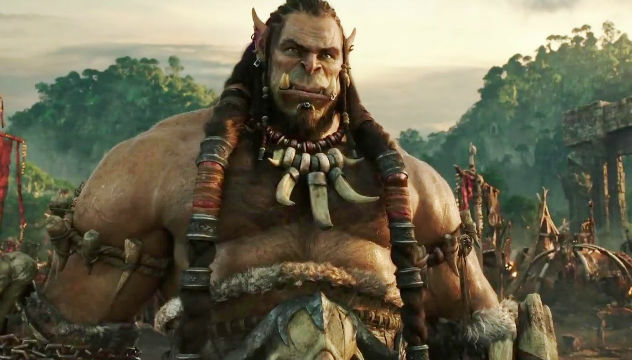 It’s not difficult to see where Warcraft’s estimated $160 million budget was spent: the effects in the movie are quite stunning at times, both in terms of the landscape and the fantastic creatures that inhabit it. The orcs, with hands three times the size of their heads and shoulders broad enough to block out the sun, are mesmerising to watch, seamlessly blurring the distinction between motion-captured man and computer-generated image. Sadly, much of the rest of Warcraft is little more than ordinary: performances are perfunctory, characterisation paper-thin, and no hero defined as such. Lothar comes closest, but Fimmel’s jokey, light-hearted portrayal robs him of heroic stature, and too often he’s shunted to the sidelines to make way for yet another character to take centre stage for a few minutes. A fascinating time-filler first time around, Warcraft is the kind of high concept flick that will crumble under repeated viewings, and offers little to suggest it will prosper as an ongoing franchise.